Well… okay, I am. But not the Hogwarsts graduate, flying on a broomstick sort of Witch. I’m more of a walking in the woods, hugging trees, natural healing sort of Witch. Which is fine, because you don’t need to have spent hours in a dungeon with Professor Snape in order to be able to brew up a good Pepperup Potion. You don’t even have to be a Witch. For the past week or so our household has been plagued by this sort of stuffy nose, sinus headache, virus thingy that has been making everyone miserable. Enter Pepperup Potion… which was a nice, warming drink designed to make everyone feel better. It’s not a magic cure, I’m afraid, and it won’t make steam come out of your ears. 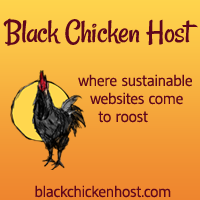 Take a nice, pastured chicken and stick it in a pot of water. If desired, add a bit of salt –I like this kind *affiliate link . Add about three heads of garlic, peeled. (Yes, I really did say heads of garlic.) Garlic has powerful antimicrobial, antibiotic, and antiviral properties. It is also something of a decongestant. And a large handful of fresh ginger, peeled and cut into chunks. Ginger is helpful for muscle aches and joint pain… which often accompany a cold or flu. It also settles the stomach, which was especially helpful for us because this particular virus brought with it a certain amount of nausea. I think for a whole day I ate nothing but water, a little tea, and this potion. Remove the chicken and save it for another dish. Also save the chicken carcass–there is probably a batch of bone broth still in it. Scoop out some of the broth, salt to taste, and sip slowly. It is hot and spicy and it should make your nose run in no time! This post was FEATURED on Simple Life Sunday. 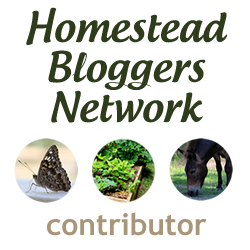 This post has been shared at the Weekend Wholefood Blender Party, Simple Saturdays, the Homestead Barn Hop, Thank Goodness It’s Monday, Mostly Homemade Mondays, and Natural Living Monday. And at the Backyard Farming Connection, Fat Tuesday, Tuesday Greens, and Tuesdays with a Twist. And Wellness Wednesdays, Wildcrafting Wednesday, Fresh Foods Wednesday, and Whimsy Wednesdays. And at The HomeAcre Hop and Frugal Days, Sustainable Ways. And at Fight Back Friday and Real Food Fridays. And Simple Saturdays, Simple Life Sunday, Gratitude Sunday, The Chicken Chick’s Blog Hop, By Your Hands: Blog Party Sunday, The Sunday Social Blog Hop, and Nomday Monday. And Tuned-in Tuesday, The Hearth & Soul, and The Gathering Spot. And Real Food Wednesdays, Down Home Blog Hop, Mountain Woman Rendezvous, Simple Lives Thursday, Pennywise Platter Thursday, From the Farm Blog Hop, Unprocessed Fridays, Old-Fashioned Fridays, and Healing with Food Friday. We only ever promote products and businesses that we believe will be helpful to our readers.Please Note: Some of the links found at Once Upon a Time in a Bed of Wildflowers are affiliate links. I often include these links to illustrate exactly what product I am talking about. You may be able to find the product cheaper somewhere else, including your own grocery store! However, if you use an affiliate link to enter a shopping site (such as Amazon.com), and do decide to make a purchase, we may receive a small commission. There is no additional cost to you, however these commissions help us to support this blog, and sometimes to buy dog food! We are very grateful for your support! Tagged chipotle, garlic, ginger, natural cold remedy, pepperup potion. Bookmark the permalink. This is such a great recipe. I will definitely be making this the next time I’m struck down. Have you ever tried freezing the leftovers? I never imaged pepperup potion would be so tasty! Not even Snape could have brewed up a better recipe. Ugh, I am coming down with that sinus, headache, virus-y thing myself, so I’ll have to make a pot of this tomorrow. Thank you for sharing at the HomeAcre Hop; I hope you’ll join us again this Thursday. This is so perfect for this time of year. I’m going to have to make this for my little guy. He’s been stuffy for days! Thanks for linking up at Nomday Monday! Wow, I don’t know that I can handle that, but hey if it works. Thanks for sharing again on Real Food Fridays, hey we’re having a giveaway this week. I think my husband would like this! And he’s always teasing me about witches brew anyway, with all of my holistic remedies…Haha! Thanks for linking up with Healing With Food Friday!! Ya know, with a little cocoa powder, this would just about qualify as mole! Sounds yummy!! Thanks for linking up to Wellness Wednesday.